Information technology (IT) impacts nearly every aspect of modern life—it is also the largest of any computer-related industry. As an IT professional, you ensure the success of businesses by upgrading and maintaining their computer systems, networks, and software. And if you're interested in becoming an entrepreneur, the rise of smartphones opens doors for IT professionals; there are a growing number of opportunities for information technology degree graduates to create apps and programs that run on mobile devices. According to the Bureau of Labor Statistics (BLS), the job pool in the computer and IT industry is projected to grow by 12% from 2014 to 2024. Cloud computing is expected to heavily contribute to this growth. Additionally, due to the rise in cyber attacks, more businesses are employing professionals with information technology degrees to install antivirus software and other intrusion detection systems. Online information technology programs and online information systems programs teach you how to evaluate and solve complex, real-world problems using technical tools and methodologies. As an IT expert, you will need to be detail-oriented, analytical, and comfortable communicating with clients and team members about complex technical subjects. If you want to build onto these skills, read on to learn more about IT degree options, certifications, and career opportunities in the field. Earning an online IT degree can lead to a variety of job opportunities within the technology sector. Students with an associate degree from an online information technology program or an online information systems program will be prepared to work in entry-level IT positions. However, most IT jobs require students to earn at least their bachelor's degree in the field. Students who graduate with a bachelor's in information technology online will be prepared to work as network and computer systems administrators, computer support specialists, or computer software designers. Online IT degree graduate programs provide students with specialized training within a specific area of information technology, such as systems and security, planning and management, or innovation and leadership. Professionals with a master's degree are more likely to work in managerial and supervisory roles. Most IT professionals hold at least a bachelor's degree. However, an online associate degree in information technology may still be very useful. Students who graduate with an associate IT degree will develop the foundational skills required for entry-level positions, including basic network setups, general network protocols, and industry-standard software tools. Associate degree programs typically take around two years to complete. However, the majority of online degree programs allow students to work at their own pace. Most associate degree programs require students to complete between 60-90 credit hours of work, with each credit hour costing between $300-$400. Algebra, Composition, and Statistics. In addition, students may be required to take introductory information technology courses, such as Website Design, Foundations in Application Development, and Introduction to Programming. There are no traditional information technology majors at the associate level. However, students pursuing an associate IT degree may choose to concentrate in a number of different areas, such as network administration or software development. Keiser University's residential campus may be in Fort Lauderdale but its online associate degree in information technology extends it campus far beyond the state of Florida. Perfect for students pursuing careers in network management, tech support, system administration and security support, the school's 72-credit hour terminal associate of science degree includes courses in web systems, internetworking technologies, principles of information technology, multi-user operating systems, and much more. At KU, associate of science in information technology students learn to communicate better, think critically, install optimal personal data security measures, troubleshoot hardware and software, and better understand network management. KU is a career-focused institution with physical campuses in 18 Florida cities. In 2017, the school was ranked by U.S. News & World Report as one of its Best Value Schools in the United States. Indiana Wesleyan University offers its students online or flexible on-campus career-oriented learning. Students can earn the school's associate degree in information technology through online courses combined with some on-campus classes and may even use these credits through the school's bridge program to begin working on a bachelor's degree. The program is administered by seasoned faculty and offers students a modern course load that blends information technology with a liberal arts education. Students may take classes in college writing and lifelong learning as well as quantitative reasoning, operating systems concepts, web design, and software troubleshooting. Targeted courses provide students with all the skills they need to excel in the modern workplace. The school works to provide online learners with many of the same services that students receive on its 320-acre Marion, Indiana campus, including personal academic advisors and off-campus library services. IWU is a private, evangelical Christian school that teaches within a Christian worldview. Bismarck State College’s on-campus or online associate degree in information technology helps students learn the skills and software necessary for modern IT jobs, such as Microsoft Office Specialist and Adobe Cloud Systems. BSC offers a one-year certificate program and a two-year associate of science option which includes database and web education, internship opportunities and liberal arts courses. The school's AS degree in information technology program fits into Bismarck State’s larger mission of providing career-oriented education through innovative approaches. Online and distance learners enjoy full access to library resources, research tools, and tech support. Located in North Dakota's capital, BSC's scenic campus overlooks the Missouri River. IT is a fast-growing and in-demand career option, and BSC's services make earning an associate degree in IT online a possibility. Whether in the Bluegrass State or online, West Kentucky Community and Technical College is focused on two-year, career-focused education. Information technology associate degrees can lead to professional opportunities in IT or computer science or transfer over to a four-year program with ease. West Kentucky’s online associate degree in information technology is different than many other similar programs due to the sheer number of specializations it offers. With specializations in Cisco or Microsoft network management, business computer support, software support, information systems programming, information security, data center hardware, and more, West Kentucky lets students tailor their specialities to their interests and desired careers. The Paducah, Kentucky college also provides more than a dozen certificate options in the same field for additional opportunities. Delivering online classes for more than 20 years, West Kentucky offers all the resources and support online learners need to thrive. Students can choose to learn by term or on demand for maximum flexibility. Davenport University’s online associate degree in information technology is unique in its focus on business. In addition to courses such as C++ programming, web applications, database design and operating systems, Davenport also teaches principles of project management, e-business foundations, and professional ethics. These courses in addition to mathematics and composition classes allows online students to gain the optimal skills necessary to excel in a corporate or business environment. The school's associate of applied science in computer information systems is a 60-credit program that caters to the interpersonal, management, and practical computer skills needed to run a business IT department. Its main campus in Grand Rapids, Michigan, Davenport enrolls students at more than a dozen campuses throughout the Wolverine State and serves thousands of students online. Davenport administers hundreds of online classes for its undergraduate and graduate programs and provides all online students high-touch virtual services. Southern New Hampshire University has made a name for itself by way of its dedication to providing excellent online student services. The school's 24/7 online classroom access, digital library, generous credit transfer options, tutoring services, online writing center, and career services are available to all of its information technology associate degree students. SNHU's flexible IT program features courses in website design, applied statistics, app development, network management, and more. The school's programs are explicitly designed to provide students the skills they need for gainful employment after graduation. SNHU also makes available a number of veteran-specific tuition options. In addition to its extensive online resource offerings, online students who decide to visit SNHU's physical campus will find that it boasts a wooded and picturesque, showcasing the rolling beauty of the Granite State. SNHU's physical campus is located between the cities of Manchester and Hooksett. Located in North Carolina’s famed Research Triangle, Wake Technical Community College has provided modern, career-focused programs to the greater Raleigh area since the 1950s. No longer restricted to the classroom, the school now serves the world through the miracles of the digital era. WTCC's online associate degree program in information technology and computer programming offers a wide range of specializations. AAS students may choose to specialize in network management, software and web development, technical support, mobile app development, data science, and more. Outside of IT and technical support careers, WTCC education prepares students for jobs in the healthcare, manufacturing, finance and insurance industries. In addition to the extraordinary number of diverse course offerings at WTCC, the school's online program provides student with help via its Individualized Learning Center. Central Georgia Technical College’s mission remains the same for both local and distance learners: to provide practical, individualized education and workforce training to adults and students in Georgia and beyond. With campuses in 11 Georgia counties and online learning available wherever there's an internet connection, CGTC offers students plenty of ways to earn an information technology associate degree. Computer and information technology careers are expected to become more in demand and profitable in the near future, and CGTC designs their program to meet this demand. With specializations in network management, IT support, computer programming, and beyond, CGTC offers courses designed to lead to employment in a number of fields. Students at CGTC retain the in-the-classroom feeling by using video conference calling software for online learning. Online learners can become part of the campus community by using student services and joining groups such as the Student Veterans Organization. The online division of Pennsylvania State University, a world-renowned public research university, Penn State World Campus's online associate degree in information technology provides students from around the world with the skills they need for IT employment. This 60-credit global campus program includes courses in web systems, database structures, PC hardware, and data storage. In addition to online coursework, the school's information sciences and technology program features team projects, an internship, and a capstone project. PSWC's AS program prepares students for career opportunities in business, retail, healthcare, and more, and credits may transfer to bachelor’s programs. Students will learn from a number of IT experts among PSWC's faculty and may take advantage of a number of students through the well-known school. Career counseling, tech support, tutoring, writing aid, military services, and special accommodations are all provided for online learners at PSWC. IT students will also learn college writing, mathematical, and other general education skills for optimal hire-ability. Surrounded by the world-famous Olympic mountains and nestled on the coast of beautiful western Washington state, Peninsula College uses a two-tiered approach for its online associate of applied sciences in information technology: classroom teaching and practical experience. At Peninsula, students learn the basics of network support, IT management, security, and computer support, as well as advanced, specific support for operating systems like Microsoft and Linux. The school's information technology associate degree is designed for students pursuing a career in the business world and offers added courses in business communication. Peninsula's AAS program features an emphasis on helping students pass exams for career-specific certifications and the school offers an AAS-Transfer option for students who want to make their credits more easily transferrable to a four-year program at a different school. Peninsula prizes campus community and shared principles and online students have the option to embrace their role as part of the college's community with online students services and collaborative coursework. Based in Winterville, North Carolina (a part of the Greenville metropolitan area), Pitt Community College is committed to teaching skills that employers want. The school offers multiple online associate degrees in information technology, which students may choose from based on their interests and goals. Serving around 12,000 students annually, PCC offers associate applied science degree programs for network management, support and services, systems security, web administration and design, computer programming and development, and game development. The school was founded in 1961 with a tiny student body and a handful of program options. Since then it has grown significantly: today PCC administers a number of online services for distance learners, including 3,000 internet-based classes and 465 flexible hybrid courses. PCC provides continuing, vocational, career-oriented and online education, and the school's top goals include student engagement, job readiness, and successful learning. Florida Institute of Technology’s associate of science in computer information systems is the perfect program for software fanatics. The program is 100% online and through it students become familiar with popular programming languages that include Java, C++, and Visual Basic. Aside from software education, Florida Tech students learn about systems, information technology, and liberal arts topics. Students take courses in e-commerce, marketing, economics, and mathematics as part of their degree—perfect for the business sector. Florida Tech's commitment to online education can be seen in the design of its online classroom, where students can learn via videos, tutorials, interactive apps, and chat rooms. Enrollment services representatives, students services, and 24/7 tech support are just a few of the benefits that Florida Tech online students enjoy. Graduates from Florida Tech’s associate degree in information technology pursue careers as IT support representatives, help desk assistants, program analysts, or Structured Query Language developers, for example. Located in the state's center, the University of Massachusetts, Lowell has leveraged its robust traditional university resources to create superior online programs, in turn opening its digital campus to students all over the world. Online offerings, such as information technology associate degree programs, are taught by UMass-Lowell’s full-time professional faculty, who draw from significant industry and academic backgrounds. Inspired by its residential campus programs, UMass-Lowell offers students an enormous number of course offerings. Online AS students take core classes in composition or economics and then choose from dozens of IT electives such as an introduction to XML, network security, database concepts, or web development. All associate degree in information technology students enjoy full access to academic advisors and tech support, ensuring an optimal learning experience. In addition to preparing students for careers in the field, an AS in IT from UMass-Lowell automatically counts towards a bachelor’s degree at the school. Based in dry Tempe, Arizona, Rio Salado College provides the online education in information technology that modern employers seek out. With affordable tuition and notably inexpensive tuition for local students, the school's information technology associate degrees are a wise choice for computer lovers. Rio Salado's 64-credit associate in applied science in computer technology program includes classes on in-demand subjects such as web design, network managements, digital design, and advanced applications. There are elective class options that allows students to hone their expertise to a specific industry, including business-personal computers, corporate technology, or office automation. Online students enjoy access to students services including tutoring, library resources, and tech support. Rio Salado began its online education program early in 2004 and has constantly improved on its approach since. Today, many of Rio Salado’s programs are available online and the school boasts a large and thriving community. Peirce College’s information technology associate degree is tailored to prepare students for a quickly growing career field where the only constant is technological evolution. From learning the ins and outs of hardware and software to understanding the practical maintenance of networks and data security, Peirce consistently employs comprehensive, competency-based techniques. Peirce's approach allows students a flexible schedule fine-tuned to their needs and ability. The school awards students who have accrued relevant practical experience with credits and students have the opportunity to work with a personal coach on new topics. Peirce tailors its curriculum to the diverse needs of its students, including online and on-campus learners, recent high school graduates, and adult learners. At Peirce, students also enjoy the opportunity to take communication and general education electives. Students who can’t make its to Hawai'i Pacific University’s beautiful Honolulu campus can still enjoy the many other benefits that this liberal arts college provides. For example, HPU's online associate degree in information technology program gives students from all over the world a chance to learn the most in-demand skills in the IT world. HPU’s 60-credit program includes classes in computer programming, computer science, data structures, and electives such as math and science. The school’s military campus program makes pursuing the school's AS in IT convenient for active duty military service members and veterans alike. HPU's associate degree is also completely compatible and transferable toward a bachelor’s degree at the school. Additionally, HPU’s information technology associate degree program features a specific focus on quantitative methods not found in many other online programs. Aside from the academic route, many HPU students leverage their AS into IT jobs in business, retail, healthcare or other fields. The school values its unique position between the continental U.S. and Asia, and prizes and promotes collaboration within its diverse student body. St. Petersburg College’s associate degree in computer information technology transfers directly into the Clearwater, Florida school’s bachelor’s program. Students who enroll at SPC work toward two goals at the same time, earning credits for an AS and BS simultaneously. SPC's information technology associate degree prepares students directly for entry-level IT positions, so that students can enter the career force right away or continue their education. As part of the associate degree, students complete an internship to gain practical experience as well as courses in network security, computer programming, database management, computer repair, and business. Online students enrolled in the associate program have pursued careers as help desk, computer support, IT, and technical support specialists. Online students enjoy access to a convenient suite of web tools to help with practical details as well as graduation status tools, financial aid, student email, and a learning portal. Tech lovers interested in starting a career as an information systems administrator or technology support specialist should consider North Dakota State College of Science’s associate degree in IT. NDSCS's AAS degree program includes classes in hardware, networking, web server management, security, programing, and operating systems. In addition to a 66-credit information technology associate degree, NDSCS offers a certificate in the same field. Students may be interested in related majors like mobile app development, web design, or IT forensics and security. NDSCS online students can also take classes at the Fargo or Wahpeton campuses, and have the opportunity to join the school's Pathway Program, which allows for easy credit transfer to programs at North Dakota State University. NDSCS employs online tutorials, SMARTHINKING tutoring, and its own technical support to give its students all the tools necessary for success. Much like its associate degree in IT, many of NDSCS’s majors are aimed at securing gainful employment in a student's chosen field. Based in Rock Springs, Wyoming, Western Wyoming Community College’s associate of science in computer information systems features some significant differences from otherwise similar programs elsewhere in the country. Although it offers tech courses such as computer information systems, computer science and electives, the program is heavily math-based and features, for example, classes in calculus, accounting, and microeconomics. These courses help prepare students not just for entry IT jobs but also provides them with a foundation for other business career options. WWCC's 66-credit program feature group activities, hands-on problem solving, and is split over two years. WWCC online courses are not self-paced, providing the students with structure similar to that of a traditional university. The school’s mission is to provide students in the Rocky Mountain region and online with quality education and wider opportunities at an affordable price. Northcentral Technical College’s main campus is located in Wausau, Wisconsin but NTC's Virtual College reaches far beyond the state's lake and forest-dotted landscapes. NTC students earn dozens of degrees through the school's Virtual College, including an associate degree in information technology. NTC's Virtual College is committed to the needs of busy students and features dynamic class schedules, variable due dates, and flexible courses that can be completed as quickly as four weeks—or as slowly as 16. NTC Virtual College students receive college advisor assistance to better prepare them for success and can even progress toward a bachelor’s degree (via a partnership from Lakeland College). The school's online associate degree in information technology teaches students everything they need to know to manage IT hardware, software, networks, and customer service skills needed for IT work. Graduates from the program are qualified for entry-level IT positions and often become help desk specialists or PC technicians. NTC also offers specialist IT programs such as business analysis, network technology, and user experience studies. Brigham Young University prepares students for careers as computer programmers, software engineers, systems analysts, and computer help specialists by way of online classes administered through the school's Idaho campus. This well-known private university features an online associate degree in information technology that’s perfect for students who seek to transform their passion for technology into a career. With an emphasis on computer programming, BYU’s AS program offers classes on topics such as software development, web engineering, project management, and computer security. Although courses are taught online, BYU makes a point to retain the instructor-student relationship so strongly associated with traditional universities. Students will work with online materials and interact frequently with instructors throughout the semester. BYU’s online classes are structured the same as the school's on-campus classes and feature the same objectives. Students at BYU have the option to complete their courses at a variety of paces. Central Texas College offers online associate degrees in information technology, network systems administration, and information security. The Killeen, Texas school provides associate degrees in a number of fields. Associate of applied science degrees at CTC are designed to make students instantly employable following graduation. Information technology associate degrees from CTC are crafted to prepare students for a number of entry-level tech jobs, including network technician, computer support representative, or hardware repair associate. CTC offers hundreds of certificate and degree programs, and the school provides a wide range of general education options. Students can pursue their IT career in a wide range of fields, from corporate offices and healthcare to small business and educational institutions. CTC’s online school also feature separate specialty programs for members of the military and high school students. Wisconsin Indianhead Technical College's associate degree in information technology graduates have gone on to work in system administration at local entertainment websites and to perform web development for national companies. WITC is committed to teaching students the important skills that make them employable and allow them to excel in their new careers. The information technology degree focuses on learning programming languages and practical analytic techniques. In addition to web and software design, WITC students also learn about database design. WITC's programs feature a strong software focus. An associate degree in IT from WITC prepares students for a variety of in-demand jobs and students also have the opportunity to transfer to a four-year college such as the University of Wisconsin-Stout. Stanly Community College offers students two information technology associate degree options: network management and business support. Stanly's network management specialty focuses on the design of network hardware, the maintenance of such devices, the management of infrastructure, and the installation of software among other skills. Network management AS students often go on to become network operators, analysts, technicians, and managers. The program's business support track offers similar classes but focuses specifically on business, governmental, and educational work environments. Students work on business communication skills and with common softwares of the industry. All SCC online students have access to a variety of services, including Stanly's Writing Center, counseling services, academic support, advisement, and financial aid. Both IT associate degrees are offered on-site in North Carolina and online. Located in Appleton, Wisconsin, Fox Valley Technical College prepares students for the careers they want. Tech junkies and amatuer computer experts alike use Fox Valley’s online associate degree programs in information technology to find a high-demand IT jobs. The school offers associate of applied science degrees for network systems administration, computer support or information systems security. Successful students transform into the go-to IT experts at a small businesses or manage a vast array of hospital network infrastructure systems, for example—Fox Valley graduates pursue a number of career paths. The school works with students from all backgrounds, including parents and students looking to eventually earn a four-year degree. Fox Valley aims to prepare its students for success and support them along the way, leading to a more productive community and economy. The school teaches more students than any other technical college in the state. Students who earn their bachelor's in information technology online will be qualified for a wide range of entry-level jobs. This degree is also sometimes referred to as an online bachelor's in information systems. Online bachelor's in information technology and online bachelor's in information systems cover both the fundamentals and advanced principles of web design, network architecture, information security, and computer programming. 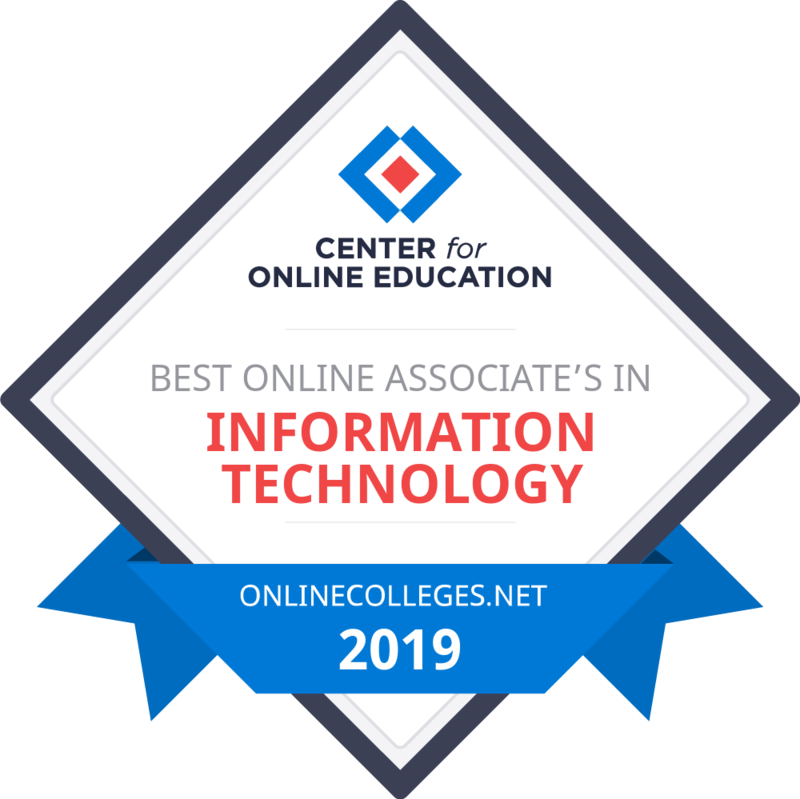 Earning a bachelor's in information technology online typically takes around four years to complete, and students are usually required to fulfill between 120 and 180 credit hours of work. Students enrolled in an online bachelor's in information technology or a bachelor's in information systems online are typically required to take the same entry-level courses as associate degree students. In addition, bachelor's degree students may take classes in Database Design and Management, Web Development, Network Security, and Project Management. From 2014-2024, 9% increase for computer network architects, 21% for computer systems analysts, 18% for information security analysts, and 17% for software developers. However, because computer programming can be done from anywhere in the world, the employment rate for computer programmers is expected to decline by 8%. Minnesota offers an online information technology degree that encompasses 120 total credit hours in a variety of disciplines, from college algebra to database management systems to marketing. The program includes a summer internship requirement, and culminates with a senior project in information technology management. Courses are accessible through Moodle. The school offers a variety of student support resources, including access to electronic library materials, comprehensive tech support, and fully digitized financial aid services. The curriculum encourages interdisciplinary study, and students will take supplemental coursework in the arts and sciences. Students may enroll in the program during the fall or spring semesters. Minnesota offers the same flat rate tuition prices to all students, regardless of their location. Penn State offers an online information technology degree through its World Campus. The curriculum is practice-oriented and helps students develop a variety of IT skills across various data systems and technologies. The degree requires students to complete 125 credits in a combination of prescribed, general education, and elective courses; students must also complete an internship. Distance learners may choose either an integration and application or design and development option; the integration and application option is for students who want to use IT to "support high-level strategic organization and problem solving," while the design and development route helps students "expand the skills needed to develop advanced information technology systems." All students must pass a mandatory course in integration and problem solving during their senior year. Online students are invited to participate in the school's graduation ceremony with campus-based students. UMass-Lowell offers a bachelor's in information technology online. The curriculum encompasses core requirements and major-specific courses. Students can take elective classes in a variety of subjects, including arts and humanities, math, science, and engineering and management. All courses are accessible through Blackboard. Online support services include advanced learning assistance and aid for students with disabilities, including hearing-assist software and comprehensive tech support. Though most courses can be completed online, some may require you to attend campus temporarily. Courses introduce students to several programming languages and database management tools. Distance learners must learn how to use Python, HTML, XML, Java, C, and Linux, among others. To graduate, all students are required to complete 40 classes with a GPA of 2.0 or better. At least 19 of those classes must be major-specific. UIS offers an online information technology degree with a concentration in computer science. The program includes both an entrance exam, taken during the first semester of study in the computer science major, and an exit review during the final semester before graduation. Prerequisites for undergraduate applicants include basic Java programming skills, as well as prior experience in calculus, statistics, and discrete or finite math. Courses are accessible through the Blackboard platform. Distance learners have access to a variety of student support resources, including the school's electronic library and bookstore, online bill-pay and student financing, and career counseling services. Online courses are taught by the same faculty as on-campus programs. Though the Department of Computer Science reviews applications on set dates during fall and spring semesters, the program offers open enrollment until it reaches capacity for each term. UF offers an online information technology degree with an interdisciplinary approach. UF's online BS in Computer Science is designed to incorporate a broader range of disciplines than the more technical computer science program offered by the university's College of Engineering. In addition to core courses in programming and database systems, the curriculum in the 120-credit program requires students to take classes in a variety of disciplines, including the humanities and biological science. Courses are accessible through Canvas. Students can get tech support 24/7, and have access to virtual tutoring and student counseling services. The university also created its own mobile app for students studying off campus. Distance elearners are required to complete a senior project and exit review to conclude their core requirements prior to graduation. Liberty offers a BS in information technology with four optional specializations: application and database development, data networking and security, gaming design, and web and mobile programming. Like all Liberty programs, the online BS integrates coursework in Christian life and thought into the core curriculum requirements. Students must satisfy a 12-credit cognate within their major that includes an internship experience. An information technology capstone is also required as part of the curriculum. Each specialization requires students to complete 120 total credits, and students may transfer some of their previously earned credits into Liberty. Online courses are accessible through Blackboard, and students can also access live-chat tech support, virtual tutoring options, career counseling services online. Tuition rates per hour vary depending on whether a student attends school part-time or full-time, and includes several discount opportunities for military and veteran students. Kennesaw State offers an online information technology degree with four optional concentrations: enterprise systems, information assurance and security, health information technology, and mobile and web development. The program includes general education, major, concentration, and elective courses, totaling 121 credit hours. The university also offers an undergraduate certificate in health information technology, which can be completed online in conjunction with the IT degree. Courses are accessible through the D2L Brightspace platform. KSU provides several academic resources, including electronic library access, academic advising, and tech support. Distance learners are required to complete an information technology capstone as part of the upper-division curriculum. SNHU offers an online bachelor's in information technology that merges business and administrative competencies with a broad foundation in computer systems and network management. The program encompasses 120 total credits in general education and business core courses, along with courses specific to the major. Additionally, students can pursue a variety of elective courses to round out their degree requirements. Classes are delivered through Blackboard. Support for online students is provided through the mySNHU portal and includes specially trained advisors, virtual tutoring, and 24/7 tech support. Freshman students with less than 12 transfer credits of prior learning are required to complete the SNHU experience requirement by taking an introductory course in success strategies for online learning. George Mason's online BS in information technology provides a well-rounded education that helps students develop problem-solving, communication, and other business skills. The online information technology degree comprises 120 credit hours in foundation, core, concentration, and elective courses. Five of the six available concentrations in this major can be completed online, including database technology and programming, health information technology, information security, network and telecommunications, and web development and multimedia. Most coursework is available online; select foundational requirements, such as systems analysis and design, are not yet available. Most courses are offered asynchronously through Blackboard. The program concludes with a two-semester, seven-credit capstone sequence through which students develop a design project of their choice. West Florida offers an online bachelor of science in information technology rooted in the interdisciplinary study of networking and telecommunications systems and their professional functions. The program covers the broad core competencies of the field, including business and writing, along with focused courses specific to the major. Students may choose a concentration in computer web development technologies or business and communications. The program comprises 120 semester hours of general education, upper-division, and lower-division electives and courses in the network systems operations specialization. Students are also required to complete a combined internship/capstone course. UWF's online Help Desk offers students academic and technical support through virtual training and webinar sessions, interactive learning guides, and the MyUWF mobile app. Oregon State offers a bachelor's in information technology online, designed as a post-baccalaureate program for candidates holding a bachelor's degree in any field. The program requires students to complete 60 credits to graduate, including a software capstone course during their final semester. The degree may be completed in just one year by full-time students interested in an accelerated course schedule; part-time students may take up to four years to graduate. Online students can seek academic support through the school's Student Services department. Resources include access to digital library materials and to online career advising and tutoring options. The curriculum is comprised of only major-specific topics, as applicants will have already satisfied core requirements through their previous school. East Carolina offers an information technology program for adult learners through its Office of Continuing Education. The school's bachelor of science in industrial technology program features an information and computer technology concentration, and is a degree-completion program. Students may transfer up to 63 hours of credit for prior experience and education. The program requires students to complete 124 general education, technology and management, and elective courses. Courses are accessible through the Blackboard online learning platform. Support services for distance learners include career counseling and academic advising, both of which are available online. Coursework may be delivered synchronously or asynchronously, depending on the course. The Florida Institute of Technology offers an online information technology degree that helps students develop a broad skill set that will be useful in a variety of digital and data-based professions. The bachelor of science in computer information systems encompasses 124 credit hours in interdisciplinary core, computer, composition, and humanities courses. Classes are available online through the TRACKS and University Alliance platforms. Florida Tech's comprehensive support services include 24/7 tech support, dedicated enrollment advisors, career counseling, and more. All online students are required to take an eLearning orientation course before starting their first semester. Students must satisfy a total of 41 eight-week classes over four years, culminating in an information resource management capstone course during their final semester. Each fall, spring, and summer term features two start dates for new students. GWU offers an online bachelor's in information technology program, with an emphasis in traditional core computer science skills, including math and communication. The bachelor of science in computer science is available in a technical or non-technical track. Courses are accessible through Blackboard. Additional student support is provided by the university's IT help desk, career services, and counseling center, among other virtual resources. All students must complete a culminating senior design project, intended to mimic industrial product development, during their final semester. Though the university employs a generous credit-transfer policy, students are required to complete at least 30 computer science credits at GWU as part of its academic residency requirement. The school also offers an accelerated five-year combined bachelor's and master's program in computer science. Saint Leo offers an online bachelor's in information technology with an emphasis in critical thinking and leadership skills, and incorporating faith-based institutional values. The bachelor of science in computer information systems encompasses 120 credit hours in general education, core, elective, and foundation courses. Courses are accessible through Blackboard, and the school provides additional student support through 24/7 tech services, career counseling, and an online student account portal. All students must complete a culminating capstone course in advanced computer skills during their final semester. Distance courses are designed to mirror the content of traditional courses on campus. Online students are invited to attend commencement exercises each May with on-campus students at the school's Florida campus. BYU-Idaho offers a bachelor's in information technology and the program provides a well-rounded education in computer system design, management, and organizational development. The program features optional minors and concentrations in both technology and business topics; individual tracks must be approved by student advisors for each student upon enrollment. The program requires students to complete 120 course credit hours in required foundation, major, and elective courses. Courses are available through the iLearn system; additional support is provided by virtual tutors, career counselors, student advisors, and tech support staff. Students must complete a culminating senior project or internship, as well as a senior practicum, during their final semesters of study. All BYU-Idaho programs are faith-based and emphasize collaboration throughout the learning process. Part-time students have up to eight years to graduate. Nova Southeastern offers an online information technology degree through its College of Engineering and Computing. The program offers optional minors in computer information systems, information assurance/security, and information technology. The program comprises 120 credit hours in a combination of general education, major requirements, and elective courses over four years. Distance learners can access a variety of support services, including access to electronic library materials and a comprehensive tech support system. The program requires students to pass a first-year seminar course and all major prerequisites, in addition to other core requirements. NSU also offers a dual-admission option that ensures early acceptance into a relevant graduate program. Drexel offers a bachelor's in information technology that prepares graduates for roles in network security and data system management. Students may choose a concentration in either computing technology or computing security. The bachelor of science in computing and security technology program encompasses 188 credit hours across four 10-week quarter terms per year, allowing students to complete more courses in less time than traditional online programs. Coursework includes math, natural science, and liberal arts topics, in addition to core computer science requirements. All students must complete a three-part senior project during their last term. Courses are accessible through Blackboard. Drexel offers its own unique general education requirements for distance learners, including a mandatory professional development course and transfer student seminar. WGU offers several online information technology degrees in various areas of emphasis. They are available as standalone programs online, or with optional concentrations in security or network administration; the school also offers a bachelor of science in business with a focus in information technology management. Additional undergraduate programs in data management, health information management, and software development are also available. Online IT programs encompass 120 credit hours, including a culminating capstone project. Technical support is available to online students through a dedicated team of IT experts and advisors who guide the Information Technology Program Council. The university charges tuition at a fixed, flat rate in six month intervals. Towson offers an online bachelor's in information technology in several disciplines through its Department of Computer and Information Sciences. Students may pursue a bachelor of science in information systems or a combined major in information systems and e-business or business administration; similar options in computer science and a minor in information systems are also available. Students enrolled in the BS in information systems may take classes along one of four optional tracks, including business, e-government, interface design, or systems. The program comprises four years of core information systems courses, as well as classes in the student's individual study track, culminating in a capstone in web analysis and design. Distance learners have access to tech support, along with virtual counseling and tutoring services. Keiser offers an online BS in information technology management. The online information technology degree encompasses 60 major and upper division elective courses, including general education topics involving software development, systems design, and database management. The curriculum is focused on developing applied skills for the workplace, supported by the school's comprehensive online career center staff and resources. Courses are accessible through the Blackboard platform, and Keiser offers additional student support through electronic library access, virtual Webinar training, and more. Keiser invites all distance learners to join the school's student organizations, including the International Honor Society and Student Government Association. Troy offers an online computer science degree with a focus on building a broad foundation in networking, engineering, and programming through traditional science and mathematical coursework. Students must meet general education, core, and elective requirements, and complete an eight-hour sequence in chemistry or physics to graduate. Online courses are available through Blackboard. The university's distance-learning community is encouraged to visit the Trojan Cafe, a "virtual student union" that brings together international students spanning all disciplines and geographical locations. The degree may be completed in just 15 months. UMUC offers a few different online information technology degrees. These include programs in computer networks and cybersecurity, computer science, cybersecurity management and policy, digital media and web technology, information systems management, and software development and security. Each BS program encompasses 120 credit hours in a combination of major-specific courses, general education requirements, and electives. The curriculum prepares students for certification in Java, C++, and other industry specializations. The IT and computer science department also offers a variety of standalone certificate options online. Finally, students must complete a capstone course relevant to their concentration, as directed by their individual study plan, during their final semester in order to graduate. Excelsior offers an online information technology degree in a general plan of study or as one of three optional concentrations; students may specialize in cybersecurity, information security, or network management. The bachelor of science in information technology encompasses 120 credits in the arts and sciences, technology, and open elective courses. As a pioneer of distance education, Excelsior has mastered efficiency, affordability, and relevance within its online professional programs. The school offers a generous credit-transfer policy, discounted tuition rates, multiple payment plan options, and maximum credits for prior learning. Supportive resources for distance learners include a virtual writing lab, free tutoring options, and disability services. Students can also access one-on-one support from specially trained, dedicated academic advisors. The degree culminates in an integrated technology assessment capstone course. Regis offers an online bachelor's in information technology that incorporates the study of humanities, the liberal arts, and religious traditions. The program encompasses 120 credit hours in a combination of foundational and undergraduate core courses and upper division electives. Students may select an optional minor from related focus areas in business or technology. Courses are accessible through the WorldClass online learning management system. Support for online students includes virtual advising opportunities, electronic library access and disability services, such as assistive technologies. No campus visits are required for the duration of the distance program. Upper division requirements culminate in a senior capstone during your final semester. A master's in information technology, or a master's in information systems, helps students develop specialized training and knowledge. Students who earn their master's in information systems will be prepared to work as managers, supervisors, and leaders within the field of information technology. Students can also choose to enroll in master's in management information systems programs. A master's in management information systems teaches students how to use technology to improve their business. Ultimately, a master's-level education provides students with the leadership, management and web development training needed to assume high-level positions. A master's in information systems typically takes around two years to complete. Degree requirements vary by program, however students are typically required to fulfill between 35-50 credit hours of work. Some schools also require students to complete a master's thesis. Data Analytics in Cybersecurity, Advanced Structured Systems Design, Disaster Recovery and Continuity, and Big Data Management and Analytics. Online degrees at Northwestern, including its online master's of science in information systems, are offered through the university’s professional studies school. This degree has seven areas of specialization, including medical informatics, analytics and business intelligence, and database and internet technologies project management, among others. The program places an emphasis on the design, implementation, and evaluation of software programs and theoretical models. Courses integrate real-world, project-based studies. Students choose a final capstone or thesis project as part of their customized curriculum. A minimum of four proctored exams, which can be completed online, are also required during the program. Courses are delivered via the Canvas learning management system, which offers around-the-clock tech support. Northwestern also maintains a unique partnership with IBM, offering access to several IBM resources, including software, real data sets for project use, networking, and potential job opportunities. Georgetown University’s online programs are designed for students who are not able to commute to its main campus in Washington D.C. Its technology management degree is open to students in all 50 states, Washington D.C., and Puerto Rico. Georgetown offers its online master's in professional studies in technology management through its continuing studies school in partnership with Wiley Education Services. The program is geared towards executive-level professionals in the technology industry. This hybrid degree in business and technology includes course topics in enterprise modernization, technology management ethics, and information security trends. GRE and GMAT scores are not required to apply to Georgetown. Online students have access to the digital media center, writing center, and counseling services. Georgetown’s asynchronous courses can be accessed through Canvas or Blackboard, and Zoom web-based software is used for video and audio conferencing. Columbia Online offers a number of programs, including a master's degree in technology management. Available concentrations in this program include new business ventures, media and entertainment technology management, cybersecurity, and digital and business transformation, among others. The curriculum focuses on the business and leadership aspects of technology; this degree is designed for executive-level professionals in the field. Professors stress the importance of using different technologies to achieve business objectives and increase productivity. This program is also helpful for students working toward CISA (Certified Information Systems Auditor) certification, which is completed as part of an assigned peer cohort over a period of 16 months. There are five required multi-day residencies in this program, which can be attended in either New York City or Paris. During these residencies, students are paired with an executive mentor who provides one-on-one guidance for developing a master’s project. Johns Hopkins has offered courses online since 2001. Students can sign up for a live online information session about the master’s of science in technical management or watch a recorded information session online at anytime. Core courses in this program are available in four focus areas: organizational management, project management, project/organizational management, and quality management. A variety of elective courses, which include assuring success of aerospace programs, system conceptual design, and executive technical leadership, are also available. Asynchronous courses are delivered through Blackboard LMS, and web conferences are facilitated through Adobe Connect. Students can also participate in live chats online with professors during scheduled office hours. Distance learners have access to a range of services, including live library support, academic advising, and career services. Applicants must have an undergraduate degree in a science or engineering field and two years of relevant professional experience. This program was ranked 11th in the nation for best online graduate engineering programs by U.S. News & World Report in 2016. Online degrees at Georgia Tech are offered through the Georgia Tech Professional Education division, which partners with the Southern Regional Education Board eCampus. Through this program, students can obtain a master’s of science in computer science. Established in 2014, this program is a partnership between Georgia Tech, Udacity, and AT&T; it was the first accredited online degree of its kind. 11 different concentrations are available, including computer graphics, human-computer interaction, machine learning, and modeling and simulations. Applicants should have an undergraduate degree in computer science. Those without this degree are still invited to apply, but remedial coursework must be completed before entering the program. Students can choose either a project or thesis option. Recorded lectures may be accessed on demand or downloaded, and students can interact with peers and instructors through phone, email, and threaded discussions. Distance learners also have access to all electronic library services. The master’s of science in computer engineering is offered through New York University’s Tandon Online program and prepares professionals for leadership positions in the fields of telecommunications, computer networks, and microelectronics. Curriculum focuses on the design of hardware and software components in systems. Students may choose a final advanced project or a thesis option as part of their degree requirements. Core course options include nanoelectronic devices, advanced hardware design, and fundamentals of solid-state electronic devices. Students can also pick from an array of electives, including digital forensics and biometrics, to customize their degree. The program is self-paced, providing students with increased flexibility. In 2016, it was ranked by U.S. News & World Report as the 12th best online engineering program in the country. Distance learners have access to online tutor matching services, online proctoring through ProctorU, and library resources. Boston University’s master’s degree in computer information systems has been offered since 2004. It was ranked as the third best online graduate computer information technology program by U.S. News & World Report in 2016. Designed for working professionals, students learn the design process used to create computer application systems; the design, implementation, and evaluation process for database systems and applications; and how to identify and assess emerging technologies in the field. The program takes 18 to 24 months to complete. Asynchronous courses are delivered through the Blackboard LMS, and synchronous web chats can be accessed through Adobe Connect. Degree concentrations include computer networks, data analytics, database management and business intelligence, health informatics, and IT project management, among others. Distance learners at BU also have access to online tutoring through Smarthinking. The online master's in computer science offered through the University of Southern California’s distance education network ([email protected]) is suited for professional engineers who are unable to attend on-campus courses. Select concentrations are available online, including computer security, data science, multimedia and creative technologies, software engineering, and scientists and engineers (which is designed for students with a limited background in computer science). The curriculum includes many unique courses including foundations to artificial intelligence, 3D graphics and rendering, security systems, and database systems. Both synchronous and asynchronous courses are offered. Online students who cannot attend live sessions can view recorded lectures. Students who attend live online sessions can call a dedicated line to ask questions. There are no on-site requirement for this degree, but students do have the option of attending some classes on campus through a blended delivery program. Students at George Washington University can obtain a master's degree in information systems technology online through the university’s business digital community school. This program was introduced in 1980 and is one of the longest running programs of its kind. Graduates are equipped with the skills needed to manage various IT projects. An emphasis is also placed on considering the ethics and social ramifications of implementing different technological solutions. The on-campus orientation at the beginning of the program is optional for distance learners, but all students must attend a final capstone residency at the end of the course. Students choose technical and managerial electives from course topics including human-computer interaction, enterprise web and data applications, and technology entrepreneurship. All students receive access to Microsoft Office Professional Plus 365 and Microsoft Office Online, as well as to campus services provided by the Gelman library and writing consultations through Zoom software. Students in Northeastern University’s online master’s of professional studies in geographic information technology program learn skills that are applicable to a variety of industries, including geography, urban planning, and natural resources management. Structured concentrations are optional and include geographic information systems or remote sensing curricula, which cover project management and database systems design and implementation. Advanced concepts in areas such as geospatial information and modeling with geographic information systems (GIS) are also discussed. Students have the opportunity to use GIS software made by Esri and obtain hands-on experience in remote sensing and cartography. Asynchronous courses at Northeastern are accessed via the Blackboard Learn LMS. Program completion usually takes between two and three years, depending on a student’s enrollment status. Online students have access to library services, peer mentoring, online tutoring, and academic advising. Additionally, Northeastern recently implemented an online experiential learning model, which allows students to study and apply skills to real-world projects online with participating companies and organizations. North Carolina State University’s master's degree in computer science is a professional degree program available to U.S. residents and military members serving abroad. This program does not require a thesis or a comprehensive exam. Courses may be completed in a synchronous or asynchronous fashion; for the latter, lectures are recorded live and delivered to students via streaming video through the Moodle LMS. All exams are proctored at the student’s location. Students select core courses from topics that include design and analysis of algorithms, automata, languages and computability theory, and principles of computer graphics. Most students take one or two courses per semester. Students also have the option of attending courses on-campus at anytime. Resources for distance learners include library services, remote proctoring services, and advising. The master’s of information technology and management from the Illinois Institute of Technology prepares graduates to lead and manage IT teams. Students can choose from 12 career-oriented concentrations including computer and information security, data center operations and management, and voice and data communication technology. Online courses in this program are generally asynchronous and delivered via the Blackboard LMS. Most classes are 16 weeks long. Exams may be taken at testing centers close to a student’s home location. Core curriculum covers a range of technology management and technical courses, including software development, web design and applications, and IT management and entrepreneurship. The Illinois Institute of Technology is also home to the IIT Entrepreneurship Academy, which offers real-world learning opportunities with entrepreneurial, business, social, and nonprofit organizations. Brandeis University’s master's degree in technology management is designed for working professionals. This program prepares graduates to lead IT teams, implement various IT solutions, and analyze and present data for business automation. This program consists of six core classes and four electives. It can be completed either on-campus at the school’s Waltham, MA location or online. Students in this program choose from electives that include managing today’s technology professionals, IT security and compliance, and negotiating and conflict resolution. Most courses at Brandeis are capped at 20 students, and online classes are delivered through the Moodle LMS. Distance learners can meet with their peers and instructors in real-time by attending online review sessions and virtual office hours. Online students at Brandeis are offered disability services as well as library and technology support. The master’s in applied information technology at George Mason University is offered through its school of engineering. This program is designed for professionals looking to advance their careers, particularly in the federal government sector. Graduates are taught how to lead teams in creating, implementing, evaluating, and maintaining comprehensive data systems. The average student in this program enters with five to 12 years of professional experience and a basic knowledge of IT. Students may choose to attend classes part- or full-time. A capstone project is the culminating degree requirement. Most online courses are offered asynchronously. Core class topics include leading organizations through change, managing IT programs in the federal sector, and cyber incident handling and response. Although a variety of concentrations are offered, the cyber security concentration is the only one that is available completely online; other concentrations are available in a hybrid on-campus/online format. The University of Illinois at Urbana-Champaign offers a non-thesis, non-research master’s degree in computer science. This program is designed with working professionals in mind. Students choose core courses from a variety of areas, which include architecture, compilers, and parallel computing; artificial intelligence; and theoretical computer science. An accelerated professional master’s of computer science (MCS) program, the graduate computer science program at Illinois was ranked number five in the country by U.S. News & World Report in 2014. Full-time online students can complete the professional MCS in as little as one year, and part-time students can meet degree requirements in 2.5 years if they take one course per semester. Applicants are encouraged to have a basic background in computer science. Asynchronous courses are delivered through Moodle or Blackboard Learn, and distance learners have access to online proctoring through Proctor U.
Syracuse University’s master’s of science in computer science is offered through the the school’s electrical engineering and computer science department. Students can enroll in this program online or on campus. The curriculum focuses on mathematical evaluation and covers emerging technologies in security assurance, artificial intelligence, and advanced programming and computer architecture. Students tailor their education experience by selecting a variety of electives, which include object oriented programming C++, Android programming, and software modeling. Students with a strong computer science background may enroll in a one-year program option, while students with more limited experience follow a three-year plan. Online courses include live weekly web meetings in a virtual classroom, recorded lectures, interactive coursework, and collaborative group projects. Distance learners have access to the school’s library and career services. Stevens Institute of Technology’s master’s in computer science offers a wide-ranging curriculum with topics in programming, security, graphics and vision, computer networks, and software engineering. This degree was ranked 10th in the nation for best online graduate computer information technology program by U.S. News & World Report in 2016. Asynchronous coursework is available through the Canvas LMS, which gives students access to real-time lectures and presentations. Instructors are required to respond to all student requests within 48 hours. Students can design their own concentration or they can choose from a list of suggested focus areas, which include cloud computing, gaming and simulation, and network and systems administration, among others. Online learners have access to the school’s library services, including an extensive database collection and research assistance. Virginia Polytechnic Institute’s online master's in information technology is a dual degree and certificate program. It is offered as a partnership between the university's engineering and business colleges and was ranked as the second best online graduate computer information technology program by U.S. News & World Report in 2016. In addition to the program’s core courses, electives span eight structured modules or focus areas. These modules include networking, big data, and health information technology. Students have the opportunity to complete up to three modules to customize their degree. Courses in this program are accessed through the Canvas LMS. Course lectures usually include narrated PowerPoint presentations, tutorials, and demos. Most courses include one synchronous meeting via WebEx software each week. Additionally, the application fee at Virginia Tech is waived for any current or retired military members. Towson University's master's degree in information technology focuses on the design, implementation, evaluation, and maintenance of IT systems in business environments. Students work towards a variety of graduate certificates while completing their degree, including database management systems, information security and assurance, and internet application development, among others. The master’s of science in applied information technology program can be completed in about 1.5 years. Example core courses include ethics, law and policy in cyberspace, and enterprise architecture. Students take at least one capstone course, which involves analyzing real-world case studies and completing a project. Independent final study is also an option. Asynchronous courses are delivered through the Blackboard LMS. All online students have access to Microsoft DreamSpark software, as well as library resources and career services. Florida State University has offered online programs since 1996. Students enrolled in the master’s of science in information technology program can choose from one of five structured specializations, including technology and networking, large-scale data management, user-centered design, web design, and leadership and management. Most courses in this program have one required synchronous meeting each week, which can be attended through Blackboard Collaborate. Asynchronous coursework is also accessible through the Blackboard LMS. Depending on the course, some exams may be taken within the Blackboard platform; however, students might be required to take tests at a proctored location. The average program completion time is two years, although students have up to seven years to complete all of their degree requirements. Distance learners have access to the school’s library resources and a dedicated technology support desk. The master’s of science in information systems offered through DePaul’s computing and digital media college is geared towards professionals who want to assume management positions at IT companies. DePaul’s Course OnLine system, which is powered by the D2L LMS, delivers recorded lectures that can be streamed or downloaded. However, online classes are not entirely self-paced. Online students have the same due dates for weekly assignments and projects as on-campus students. Students outside of the Chicago area must take exams at a proctored location near their homes. Five degree concentrations are available in this program, including business analysis/system analysis, business intelligence, and IT enterprise. Current students at DePaul University are available to chat online with prospective students about their program experience. All students enrolled in this program must also complete a final capstone project. The University of South Florida’s master's degree in information technology is a non-thesis program that provides students with the skills needed to manage business and organizational systems. They also learn how to design, implement, and maintain IT applications. Students in the master’s of science in information technology program complete an IT graduate practicum over the course of one or two semesters; this includes completing a project and giving an oral presentation. Students can customize their degree by choosing from electives that include statistical data mining, IT robotics applications, and multimedia and eCommerce for IT. Online learning at the University of South Florida is facilitated through the Florida Virtual Campus, which is built on the Canvas LMS. Distance learners also have access to academic advising, library resources, and online proctoring services through Proctorio. California State University-Fullerton’s online master’s of science in information technology, which is offered through its business college, was ranked as the best program of its kind in California and the sixth best such program in the nation by U.S. News & World Report in 2015. The online master's in information technology offers concentrations in either data science or IT management. Curriculum covers a wide range of IT domains, including internet technologies, eCommerce, systems analysis and design, and telecommunications. Courses are built on the foundations of collaboration and research, requiring students to complete projects, research papers, demonstrations, real-world applications, and exams. A final research practicum and ePortfolio are required to complete the program. Students complete 10 courses over a 20-month program period. Weekly assignments consisting of readings, interactive exercises, electronic discussions, and papers are delivered via the Moodle LMS. Nova Southeastern University’s graduate program in information technology is designed for professionals with a background in science, math, engineering, or business. Concentrations are available in application development, databases, or system administration. This master’s of science in information technology teaches students about organizational systems, IT applications, software, and systems infrastructure. Students also learn how to design, implement, and oversee appropriate IT solutions in a variety of organizational contexts. Applicants to this program must have knowledge about structured programming in a modern language as well as computer organization. Courses at Nova Southeastern are accessed through the Blackboard LMS. Students may choose a thesis or non-thesis option for this program. Full-time students can complete all of their degree requirements within a year, while part-time students typically graduate in two years or less. The computer science master’s degree that is offered online through the University of Illinois at Springfield has a software focus and is suited for students who want to design and implement software programs. This program also offers courses in security and information assurance. Students without an undergraduate degree in computer science are required to take prerequisite courses in math, programming, and computer organization before enrolling in this program. A GRE score is not required to apply to this program. Coursework and class format vary depending on the class. Some courses have both asynchronous and synchronous components and provide recorded lectures, threaded discussions, interactive exercises, and readings. Online courses at U of I are accessed through the Blackboard LMS. Distance learners have access to the school’s library, career services, and disability services. Although the majority of information technology positions do not require a doctoral degree, students should pursue their doctorate if they are interested in teaching at the university level, conducting IT research, or becoming IT consultants. Doctoral degree programs teach students how to perform quantitative and qualitative research in order to analyze, develop, and support new IT innovations. Although requirements vary by school, doctoral programs typically take between three to four years to complete. However, students who already have a master's degree may be able to earn their PhD in a shorter amount of time. Although doctoral courses vary by school, students will typically be required to take courses in strategic analysis, quantitative and qualitative research methods, and IT strategy and policy. Most doctoral programs also require students to complete a thesis or capstone project. Most doctoral programs do not offer majors, although students can choose to perform their doctoral research in the sub-specialization of their choice. Computer and network systems administrators install, upgrade, and repair a company's computer network. They are responsible for ensuring that their organization's networks operate smoothly, efficiently, and without errors. Computer and network systems administrators fix problems and optimize a network's performance. It is important for computer network systems administrators to be comfortable multitasking, as they are often confronted with multiple problems at the same time. In addition, they should have strong problem-solving skills, communication skills, and computer skills in order to respond to and describe network errors. Web developers design and build websites. They are responsible for a site's appearance and technical aspects. Web developers write code for websites using computer languages like HTML or XML. They also prepare a website's layout and graphics, and integrate any audio or video components. Web developers require an understanding of both computer programming and graphic design. It is important for web developers to be creative in order to design websites that are innovative, modern, and unique. In addition, web developers should be extremely detail-oriented, as they must write computer code without any errors. They should also have strong customer-service skills. Information security analysts protect an organization's computer networks and systems. They are responsible for installing software to protect against cyber attacks. They are also responsible for monitoring their organization's networks, investigating possible security breaches, and recommending security enhancements. It is important for information security analysts to be extremely detail-oriented and analytical in order to carefully study computer networks for hard-to-detect security breaches. Information security analysts must also have strong problem solving skills in order to respond to and fix security flaws. Computer network architects are also sometimes referred to as network engineers. They are responsible for designing and building communication networks. These networks may include connections between offices or cloud computing infrastructures. It is important for computer network architects to have strong analytical skills in order to examine, evaluate, and best serve their clients' communication needs. Computer network architects must also be extremely detail-oriented. They must be able to create clear and comprehensive plans, which highlight how network parts work together. IT managers are responsible for planning, coordinating, and directing all of their company's computer-related activities. They also help determine their organization's short-term and long-term technology goals. Most IT manager positions require several years of experience. Often, those in this role begin in lower-level management positions and work their way up. It is important for IT managers to have strong communication and leadership skills. IT managers must be able to give clear instructions to their team, and communicate with top-level executives. Additionally, strong decision making and organizational skills are key to doing the job well. IT managers are responsible for making important decisions and must be able to coordinate with a number of different departments. The Certificate in Risk and Information Systems Control focuses on information security. Professionals who earn this license have demonstrated their ability to manage and safeguard against IT risks. In order to earn this certification, individuals must successfully complete the CRISC exam and have at least three years of relevant work experience in the field of risk management. This certification is not required. However, earning the CRISC license provides IT professionals with enhanced credibility. It also creates more opportunities for career and salary advancement. Similar to the CRISC, becoming a Certified Information Security Manager demonstrates your expertise in the field of risk management. However, the Certified Information Security Manager license also validates your understanding of broader business goals and leadership skills. IT professionals interested in designing and building company-wide security programs and IT professionals interested in working as security managers or IT consultants should consider earning their CISM license. In order to earn the CISM license, individuals must pass the CISM exam, and have at least five years of work experience, including three years in information security management. The CISM certification is not required, however it enhances your credibility, job prospects, and future earning potential. The Certified Information Systems Security Professional license ensures that individuals working in information security have a strong knowledge of security regulations, standards, and practices. If you are a network architect, or security consultant, manager, or analyst you should consider earning your CISSP credential. Candidates must have at least five years of full-time work experience and pass the CISSP exam. Once the CISSP has been successfully completed, candidates must also have an endorsement form completed and signed by a certified professional. The CISSP exam covers the following eight areas: Security and Risk Management, Asset Security, Security Engineering, Communications and Network Security, Identity and Access Management, Security Assessment and Testing, Security Operations, and Software Development Security. While the CISSP isn't required to work as a security professional, it is highly recommended. The CISSP demonstrates your technical knowledge and increases your marketability. Individuals must be recertified every three years. The Cisco Certified Networking Professional certification program is intended specifically for individuals working as Cisco Network Security Engineers. In order to earn the credential, individuals must pass the CCNP exam. To prepare for the exam, Cisco recommends enrolling in its Cisco-approved training program, which includes four 5-day courses that cover: Cisco Secure Access Solutions, Cisco Edge Network Security Solutions, Cisco Secure Mobility Solutions, and Cisco Threat Control Solutions. Candidates must pass one exam per course in order to earn their certification. It is required for Cisco Network Security Engineers, and must be renewed every 3 years. Candidates must take 4 separate exams in order to earn their CCNP credential. Each exam is 90 minutes long, and contains between 65 to 75 questions. The AWS Certified Solutions Architect license affirms your ability to design, deploy, and operate applications on Amazon Web Services. IT professionals can earn an associate certificate or a professional certificate. To earn an AWS associate certificate, individuals must have at least one year of experience designing systems on AWS, and pass an AWS associate exam. The AWS associate exam covers topics like: identifying use of AWS architectural best practices, estimating AWS costs, and selecting the most appropriate AWS service. To earn an AWS professional certificate, individuals must have already earned their AWS associate certificate, have at least two years of experience designing cloud architecture on AWS, and pass an AWS professional exam. The AWS professional exam covers topics like: designing enterprise-wide operations on AWS, designing reliable and scalable applications on AWS, and applying cost control techniques. The AWS is not required, but it is a recognized credential that demonstrates your expertise and can help advance your career. The AWS associate exam takes 80 minutes to complete. The AWS professional exam takes 170 minutes to complete.